Construction of the new field house and The Goel Center for Theater and Dance enters the home stretch. Those words have equal currency today, as the Academy prepares to open two new facilities on its South Campus this academic year: the field house (January 2018) and The David E. and Stacey L. Goel Center for Theater and Dance (April 2018). Both buildings promise to be as revolutionary as their predecessors, providing modern, state-of-the-art spaces for students and educators for decades to come. Together, they will transform South Campus into a vibrant community hub that celebrates and promotes the ideal of mind and body working together. Here is a sneak peek at the two buildings under construction this fall — with the help of some of their eager new tenants. Watch for full coverage of the building openings next year. The Goel Center for Theater and Dance’s mainstage theater will be a modified proscenium venue with 350 seats and an orchestra pit to serve drama, musical theater and dance. The neighboring thrust stage will offer seating for 149 spectators on three sides. 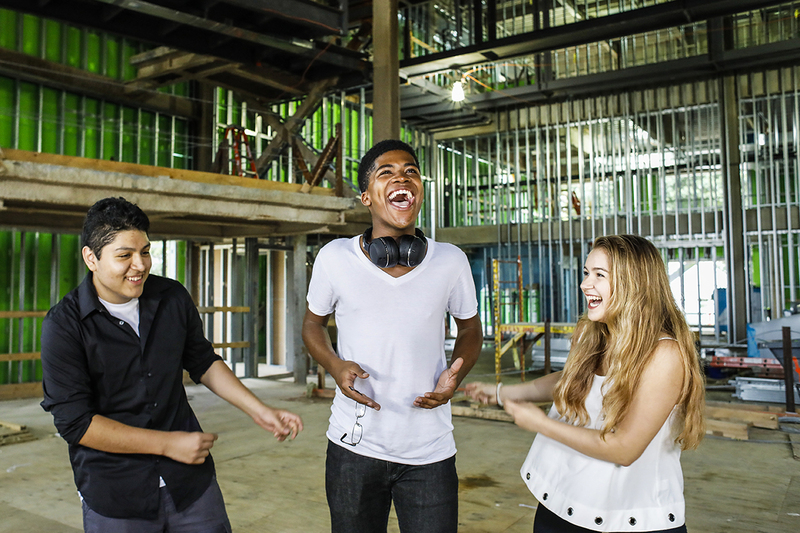 Pictured: Actors Emmanuel Vasquez ’20, Jacob Hunter ’19 and Anna Clark ’19. The Goel Center for Theater and Dance’s dance performance studio (not visible here), with 119 seats, will be Exeter’s first performance space designed specifically to dancers’ needs, including sight lines and a shockabsorbing sprung floor. Pictured: Abigail “Abby” Zhang ’19. The field house’s new wrestling room can accommodate side-by-side competition circles for a program that has won more New England championships than any other independent school. Pictured: Kevin Lyskawa ’18. 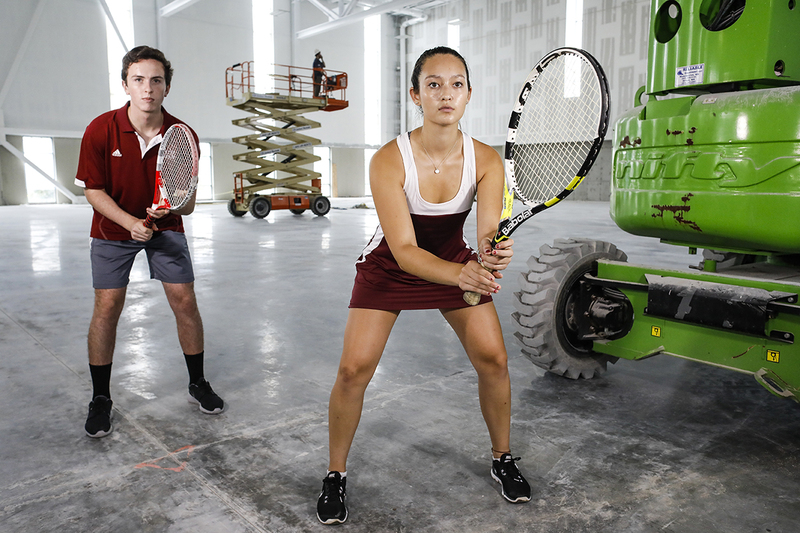 Four competition-ready tennis courts will offer year-round training opportunities and ensure every home varsity match is played regardless of weather conditions. Pictured: Pedro Repsold De Sanson ’18 and Gabriella “Gabby” Gabel ’18. 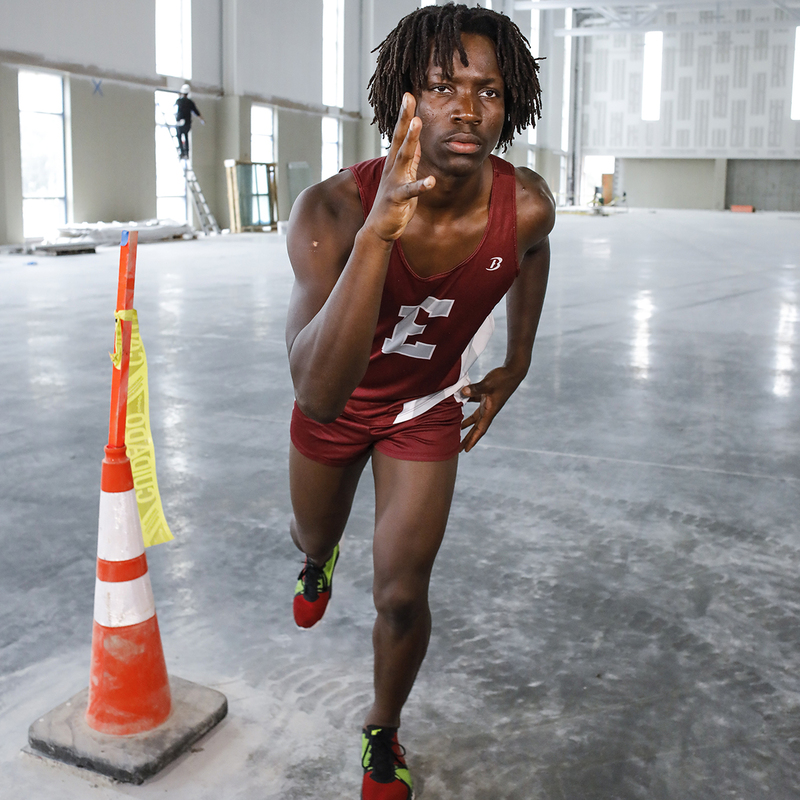 The 84,574-square-foot field house includes a 200-meter track oval with six 60-meter sprinting lanes and eight straightaway lanes. Bleacher seating can accommodate 500 spectators. Pictured: Abel Ngala ’18.